Get in touch with Jim Petrie at PTREE Surgery your local tree surgeon business in Fife. Jim is an Arboriculture specialist who will diagnose your trees, treat any diseased trees, and eliminate the chance of any of your trees falling during storms that Scotland can be prone to. If you are unfortunate to experience a tree fall have the tree made safe and the debris cleared away by us. Every January and February become distant memories, especially if we find ourselves reading this on Sunny Days. With this variable climate we experience in the UK and Scotland all of us like to look forward to sunshine and the summer months. Isn't it just great to have a relaxing moment and listen to the trees in a light breeze? But, we ask you to look out across your land or your estate. Are there still trees on their sides from the last bad winter you had? Do you have Fences laying on their backs still not repaired? 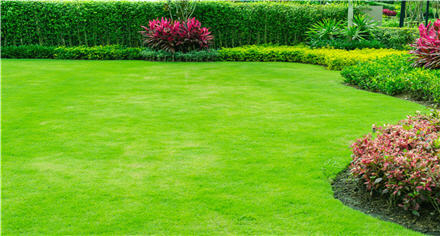 Or are you looking forward to a project that requires some hard landscaping work to be done? PTREE Surgery and Groundworks solve tree problems or hedge and bushes issues. 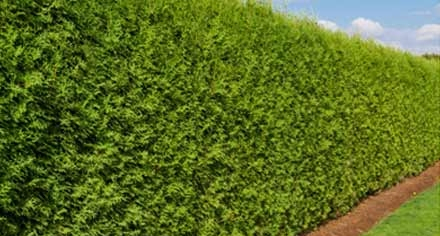 You might have damaged trees, or trees and large hedges that just need some pruning. We have a tree cutting stump grinding solution for those problems. So while we act as another emergency service in the Winter, when the Summer months are here and while we might not know too much in advance of any storms brewing and can never be sure why global climates might just change in a breeze bringing to our shores, at times unexpected weather, we need to look after our trees, our fences and structures around our property and estates. So, let us lend you some support and get those outdoor pending jobs done. There is always the possibility of high wind or stormy night during the year. The aftercare a tree needs after a storm can make a big difference to its chances of survival. Also, think about the quality of the tree you might be left with after a storm. If you care about the trees around your property or estate, then let us tell you that the work involved to help a tree back to health and vitality may have to continue for several years of regular assessment and remedial work. We would carry this out on a regular basis. And, if you are looking at your trees around your property or land right now wondering how safe they really are, then be on the safe side and get some advice from tree surgeon JIm Petrie based in St Andrews. 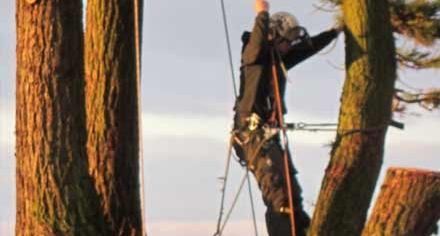 Anyone can claim to be able to carry out your tree work but to do this job properly and ensure you have trees in good health and structure you need someone how will come with more than just a chainsaw and a rope harness. Hiring local arboriculture practitioner Jim Petrie from PTREE SURGERY and GROUNDWORKS who understands the biology behind looking after your trees, hedges and bushes comes with the necessary qualifications and certificates of competence. There is much more to a tree surgeon that just someone turning up to climb your tree and start chopping away at using a chainsaw. Have you ever wondered how many trees end up toppling over every year, causing damage to property and could also end up with the loss of a life in some tragedies. What is the the best way to protect your own family and property which might be surrounded by large trees which could be hundreds of years old? How do you ensure your providing protection for your immediate neighbours or those who might be using public right of ways across your land? How often do you check the condition of trees around your property that you own? Would you know how to identify problems your tree or trees might have? if your property has trees and they are your responsibility it is advisable at regular intervals to hire a local tree surgeon. For peace of mind having a specialist inspect all the trees on your property is a worthwhile investment. And you want to do this not just once, but every year. If you need someone to make your trees safe and have done a professional diagnosis of your trees and find out if they affected by any disease. Or, if you want to get done some effective pruning, tree felling or stump grinding that needs carried out, then get in touch with us to do the job as we are properly trained and equipped. Damaged Fences Around Your Home or Land and No One to Fix them? - Needing a Fencer in Fife? So, You need to find the most trusted local fencing contractor - Why not Consider us? How much Does it typically costs to install a fence or erect fence panels? So, what might be the problem here? Could it be you need us to resurrect your blown down fence? We can solve that problem as we have a dedicated team ready at a moments notice to help you. We also like to consider ourselves as a quality garden fencing contractor in St Andrews with a passion for erecting fences, doing fence post repairs or coming to the aid of someone who had begun their own DIY fence repairs but then couldn't dedicate the time needed and really just wanted to call in the experts. That is us, PTree Surgery and GroundWorks, fencing installers building fences that are built to last. If your home needs to control its borders with your neighbours, and you need some kind of fence around it to serve as either decoration, property line markers, a security fence or you need the fencing to support all of those things, then we are keenly priced. What is a reasonable cost for a fence? We believe our quotes are very competitive for building a new fence or repairing the fence you already have. Guaranteed, you will be surprised when comparing Ptree Surgery and Groundworks quote to that of our competitors. If you want to hire a skilled and professional team to build your next panel or picket fence give Jim Petrie at Ptree Surgery and GroundWorks a call. How much should groundworks cost? Whether dealing with Hard Landscaping, laying paving - whatever the outdoor task our Groundworks Team could be the answer to problems mounting up around your property. Well, to provide you with the best answer to that question, you first of all should get in touch with us and ask to Speak to Jim Petrie for some advice. Because, like so many areas in construction, ground­works is a hotchpotch of different activ­­­ities and to understand, and price, ground­­­­works you have to break it down into its component parts and then apply prices to quantities. For example to estimate the amount of work involved, that could start by us needing to know the volume of earth to be removed. If your site slopes, then you might be asking us to clear it so that it is level. Depending what you are intent on doing with the ground the next stage could be to set out foundation trenches or to lay down drainage. Talking about drainage and soil, it is worth mentioning here that you should bare in mind that flooded soils can have an immediate and long-term effect on the health and longevity of trees. And these situations generally worsen the longer they persist. So, whether its excavating and doing muck away or having us dig down or level the ground, we will give you a fair and competitive price for the work involved. Why not enquire about how affordable it could be for you to have us undertake other groundwork services such as hard landscaping. Some clients just come and ask us to help them have a typically nice garden, some might want that garden layout to be up to Chelsea Flower Show standards (a bit more work involved there of course. But the bottom line is you want to know how much does it cost approximately to have things done like having a tier of your garden levelled out, or you want to extend the lawn or lay down an articial lawn, maybe have some additional pavingwith edges that have to be just right. Your parnter wants decking like they have seen at their friends place. But right now in reading this there is a job of hard landscaping that needs to be done first. If you think you have to start saving up, think again, call PTREE Groundworks team who do hard landscaping and have us come out and give you advice, ideas and of course that all important quote. From putting up fencing and fence panels through to delivering landscape contractor services or providing preparing for a new garden layout, get a price from us. With just a quick phone you can be speaking directly to PTREEs Jim Petrie or one of his friendly members of staff who will give you a FREE QUOTE and plenty of information about keeping trees safe and healthy, building the right fence and scoping out your landscape.